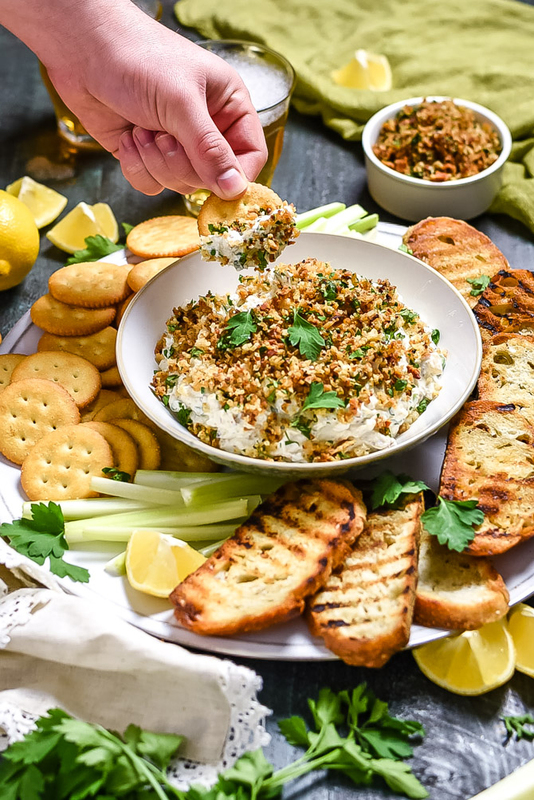 Clams Casino Dip. 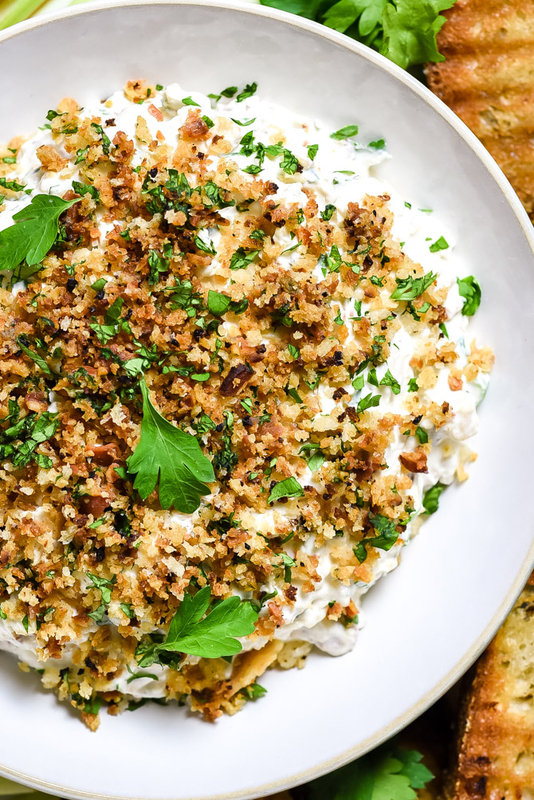 The retro hors d’ouerve is transformed into a creamy, easy-to-make dip complete with a bacon-panko topping. This recipe for Clams Casino Dip was also featured on Serious Eats. Clams Casino– the flavorful, open-faced clams with bacon-spiked breadcrumbs– is a dish I’ve spent almost all of my life eating. My dad always ordered them whenever they were on any restaurant menu (to be honest, I think we frequented the ones that served them for the sole reason that my dad had to have them), and even though I was typically the type of kid who survived solely off of chicken fingers, cheese, and crackers, I somehow was more than okay with eating clams. I loved them. Maybe I was born a couple of decades too late, or maybe I’ve just been going to the wrong get-togethers, but I’ve never been to a party where Clams Casino were served. 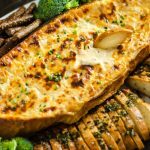 It’s a little surprising, seeing as the appetizers is well-known and well-loved, and still very much alive on restaurant menus all over. But it makes sense when you consider that fresh clams are rarely served at parties at all. Because for every bit as delicious as they may be, they’re also pretty expensive. And if you don’t live near the shore, it’s even harder to pull off. 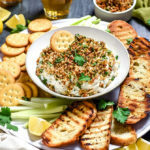 This Clams Casino Dip solves that problem by taking all of the flavors of Clams Casino and transforming them into a savory, creamy, easy-to-make party dip at a fraction of the cost. The key to making Clams Casino in dip form is, of course, the clams. And while you can certainly use fresh clams to make dip if you’d prefer, canned, minced clams are my go-to. 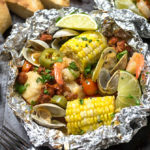 Not only are the less expensive, easier to obtain, and pre-cooked and minced to save time, but they also are surprisingly good stand-ins for the texture of flavor of fresh clams when used in a dip like this. For Clams Casino Dip, we use both the minced clams and some of the juices from the can. 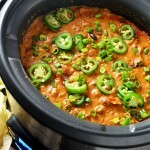 The juices help to infuse the dip with more flavor and they also thin the mixture to become easily dippable. You can’t make a dip with clams alone, of course. 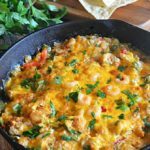 The bulk of the dip is comprised of cream cheese and sour cream for richness, smoothness, and tanginess. 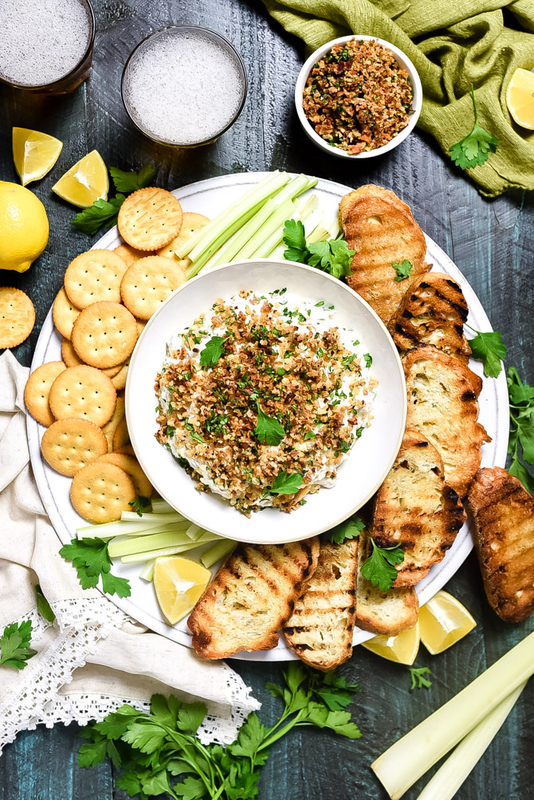 A little added lemon juice and fresh parsley bring extra brightness to the dip; garlic, scallions, and red pepper flakes add some spice; and bacon lends meatiness and smokiness. 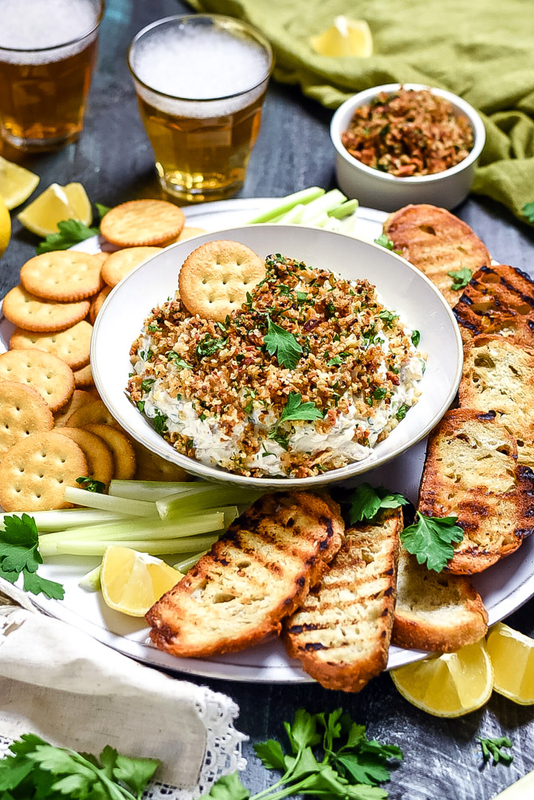 Bacon is a huge part of Clams Casino– one of the predominant flavors– so it’s important to have it mixed in so that flavor is spread throughout the dip. But we use the bacon for more than that here. We also use it in a crispy mixture that is sprinkled over the dip for added flavor and texture, both in the form of actual crumbled bacon, and in the form of rendered bacon fat which has been used to toast panko breadcrumbs. After sprinkling the bacon and panko mixture over the top of the dip, all that’s left to do is serve it with toasted bread or crackers. 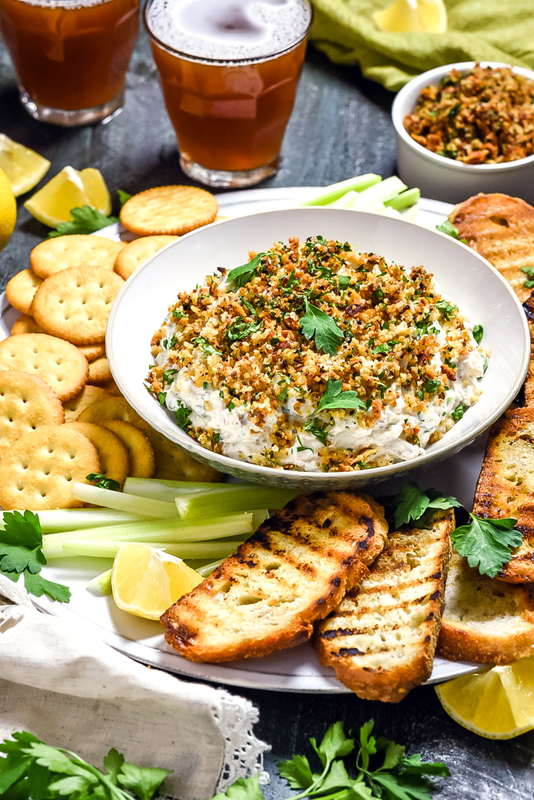 The combination of crunchy topping, smooth dip, and tender clams makes for the perfect party snack that will be loved by every shellfish fan (and even some who aren’t usually). This is a save for me for Sundays game party. Thank you, can’t wait to serve it and eat it. I’ve never heard of clams casino, but based on the ingredients looks like it’ll be a new favorite! This sounds really delicious, and I’d never heard of it. Perfect for a group or parties. And the bacon seals the deal. I’m in! Never heard of clam casino but this sounds delicious and I can’t wait to try it! 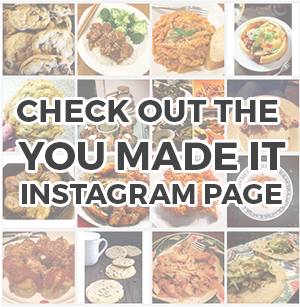 You had me at clams casino! I grew up on Long Island and theres not a restaurant you will not find without them! My favorite!! !